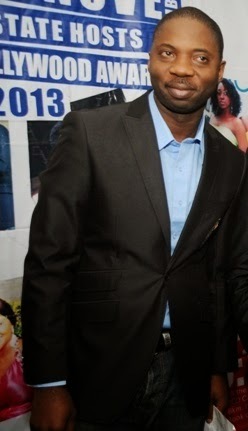 After spending close to one week in jail, the organizer of Best of Nollywood Awards, Seun Oloketuyi has been released on bail. He was released on a 3 million naira bail by Justice Yunusa at a Federal High Court in Lagos on Tuesday following an argument by his laywer, Dr Muiz Banire..
Banire claimed that prior to being charged to court, operatives of the Department of State Services had harassed and inflicted physical injuries on the accused blogger. Mr Oloketuyi got in trouble for publishing a defamatory story against Fidelity Bank CEO, Nnamdi Okonkwo.